Why not to join UKiYO Supper Cub for comforting and warming flavours of Japanese Sake and Swiss Fondue ? *We are very sorry but on this occasion we can not cater for any food intolerances or allergies. Please make sure, that yourself and your guests are fine with dairy & nuts before booking tickets. selection of reasonably priced Japanese Sake, wine and beer will be also available on the night. So Fujii & Natsuki Tsukagoshi exhibition I'm with You the joyful celebration of our love for pets & artistry of cookie icing. from every sold ticket £5 will be donated to Rabbit Rescue North West registered charity & in support for BaBBA campaign against breading and advertising pets for Christmas or other festive seasons. 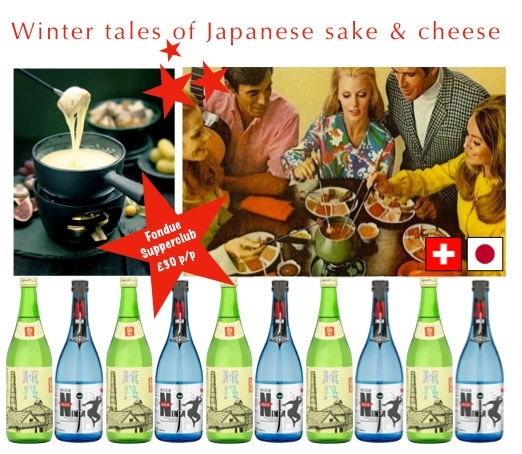 Join us for All the Sake & Cheese before Christmas ! 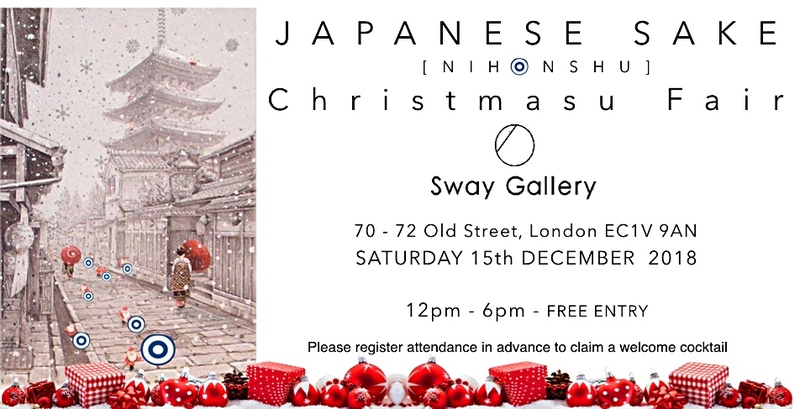 Event organised in conjunction with Sway Gallery and Japanese graphic artists So Fujii & Natsuki Tsukagoshi exhibition I'm with You - celebrating love for our pets & artistry of cookie icing. Gift wrapping & festive wishes writing in Japanese will be provided. Since we are not charging for the entry, please note that we will charge £1 per TASTER and £15 for unlimited sampling. and advertising pets for Christmas or other festive seasons.